“I’m at a point in my legal career where I can be very effective at getting parties, particularly in employment disputes, to settle cases with a win-win result,” says Ken Rose, principal of Rose Mediation, which he officially launched in November of 2012. Certainly after nearly four decades of representing both companies and employees in employment law disputes, there are few San Diego-based attorneys with his sheer breadth of expertise in the field. Moreover, there are still fewer who can claim, in addition to 36 years of experience, the renown Rose has earned over his career. As an AV-Preeminent rated attorney, Rose has been recognized by American Lawyer Media as a Top Rated Lawyer in Labor & Employment and as an outstanding attorney in the International Who’s Who of Management Labour & Employment Lawyers. He’s been included in San Diego Super Lawyers, and based on peer voting for listing in the Guide to the World’s Leading Labour and Employment Lawyers, was the leading nominee from California and among the top five in the United States. But what many don’t know is that in addition to serving as plaintiffs’ and defense counsel in employment and labor disputes, Rose has been a practicing mediator for the past few years. To him, the decision to make mediation the focus of his career moving forward is just a natural progression and the best use of his vast legal experience and expertise. “As part of my law firm’s services, I’ve always done some ADR as a mediator and arbitrator. I’m now in the process of growing my mediation practice. Attorneys and corporate officials who know me, know me as an advocate representing clients in employment matters,” Rose says. “I’ve represented both companies and employees in legal disputes that have covered the gamut of factual scenarios and employment law issues,” he adds. Those disputes have included many jury trials, and even the opportunity to cross-examine the US Postmaster General, as a young lawyer representing plaintiffs in a law suit to enforce a settlement agreement entered into with the US Postal Service in a wage law class action. Rose became interested in the law as a young boy growing up in New York City. “My dad was a detective with the New York City Police Department. He frequently testified in criminal court. He’d talk with me about cases he worked on, including his regard for the lawyers from the DA’s office and the criminal defense lawyers,” Rose recalls. “Had my dad not grown up during the Great Depression and been given the same educational opportunities my parents made sure were available for me, he could have been a sensational lawyer.” Rose also remembers looking up to a cousin who was an attorney. “He was revered by our family and I admired the assistance that he gave to all of us whenever we had legal questions,” Rose says. After earning his J.D. degree at George Washington University, Rose immediately went to work. From 1976-1984, Rose worked with law firms in Washington, D.C specializing in union-management labor law and employee benefits law. In 1985, after receiving a job offer from the Procopio firm in San Diego, Rose and his wife headed west to San Diego, where Rose would start the labor and employment law practice at Procopio. After a decade, he joined Littler Mendelson, the largest national boutique labor and employment law firm, before launching The Rose Group, APLC in 2006. As a labor and employment specialist, Rose’s clients have spanned the spectrum, from businesses of all sizes and industries that needed employment representation, to executive level employees who required legal advice, particularly with respect to employment contracts and severance pay agreements. Eventually, due to his expertise, he also cultivated a following among attorney colleagues seeking a seasoned employment law specialist to mediate their clients’ disputes and litigation. Rose’s interest in helping to resolve employer/employee disputes began to grow as he found himself being called upon more and more frequently by fellow attorneys who needed his expertise. “I get right to the root of the issues and the practical realties and uncertainties of hard fought litigation,” Rose says. “For example, to a greater extent than companies often want to acknowledge, defending employment lawsuits is a no win predicament for them. Even prevailing at trial can be a hollow victory; given that the company will have incurred substantial legal fees that rarely can be recovered. Skilled employment defense lawyers do not come cheap. Conversely, I will address what I see as unrealistic expectations held by the employee.” I am not hesitant to tactically point out to employees, in their counsel’s presence, that although they may feel wronged, few cases are a slam dunk,” he says. “I have actually gotten some “Thank You’s for explaining to their clients’ what their attorney was struggling to get them to understand,” he says of feedback he receives from employee-side attorneys. There’s little doubt that Rose’s ability to assess employment disputes quickly, and address the real issues directly, stem from his breadth of in the trenches experience. “I’ve seen it all, and understand the dynamics of employment litigation. If I believe there are holes in your case or in your defense, I point out what they are,” he adds. Continuing, he says, “I’ve been in jury trials, I understand the leverage each party has, and the financial and personal costs and loss of productive work time caused by prolonged litigation. Because I’ve often been there myself, I can approach disputes from the standpoint of ‘You could win, but you could lose, and you could lose even if you win. Isn’t it better to make best efforts to resolve the case now?’” he adds. To that end, as Rose began to see that mediation would eventually comprise a larger portion of his practice, he took logical steps to strengthen his skills and experience in the field. He was asked to become a mediator for the California Department of Fair Housing & Employment, and continues in that role today. He also became a Judge Pro Tem for the California Superior Court several years ago, serving in the Small Claims Court and as a Settlement Conference Judge. “I admire anyone who takes the time to come to court,” he says of the four to six small claims cases he hears each month. “The plaintiffs and defendants have prepared as best as they can, but they are not lawyers, so I have to listen very carefully to what they say. It’s helped me improve my listening skills, which is obviously good for my mediation practice as well. For Rose, the path towards a mediation practice just made sense. “I’ve done enough mediations to know that I’m good at resolving cases and I relish the challenges each new dispute brings. Now is an opportune time to transition further into alternative dispute resolution. The demand for good mediators continues to increase due to severe court budget cutbacks, costly discovery, crowded court dockets, and so on,” he says. Rose’s specialized knowledge of employment and labor law makes him a natural selection for counsel that have elected to mediate an employment dispute. 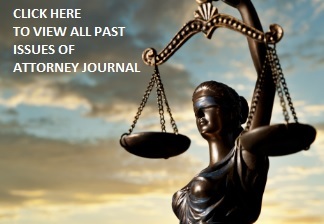 Moreover, Rose looks forward to offering his employment law dispute resolution services in two innovative areas. First, Rose has plans in place to assist corporations interested in pre-litigation mediation as an option for resolving non-frivolous employee complaints. “I will be working with corporations to encourage them to consider bringing in an independent neutral mediator when faced with serious employee complaints that if unresolved may end up in litigation. Once a lawsuit is filed, each stage beginning with commencement of discovery adds substantial legal fees, and I believe mediation early on is a viable, cost-effective option for employers and employees,” he says. Secondly, Rose, already well-known globally for his international employment law expertise, is taking his mediation services across continents. “I’ve developed a specialization in international employment law. I plan to now make myself available to mediate cross-border employment disputes that involve expat employees who either work in the US for non-US based employers, or work overseas for a US based employer,” he explains. Although Rose will focus attention on his developing mediation practice, he isn’t completely switching gears. He will continue practicing employment law, representing businesses and executives, conducting workplace investigations, and making himself available as an arbitrator. With decades of experience in his niche field, Rose has earned himself a position as a California, US, and global expert on matters labor- and employment-related. As he turns his eyes towards the future, it seems clear that a focus on mediation was bound to be the next natural progression in his accomplished legal career.